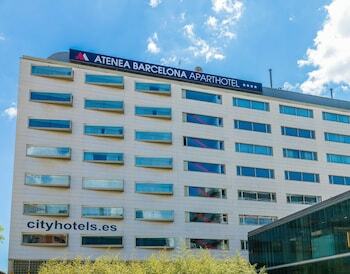 With a stay at Aparthotel Atenea, you'll be centrally located in Barcelona, within a 15-minute drive of Camp Nou and CosmoCaixa. Featured amenities include complimentary wired Internet access, a 24-hour business center, and complimentary newspapers in the lobby. Event facilities at this aparthotel consist of a conference center and meeting rooms. Self parking (subject to charges) is available onsite. Located in Villaharta, Balneario Aguas Villaharta is in a rural location, within a 10-minute drive of Ruins of Hotel Santa Elisa and Pedrique Monastery. Free self parking is available onsite. Located in Madrid (Centro), this apartment is within a 15-minute walk of Plaza Mayor and Plaza de Espana. Featured amenities include multilingual staff and an elevator (lift). With a stay at La Terrace - Iberorent Apartments in San Sebastian (Gros), you'll be within a 15-minute drive of Concha Beach and Monte Urgull.